Today we're going to talk about on-board diagnostics and the questions we hear from folks around Brooklyn Park, MN, who need answers about diagnostic services. They want to know what diagnostics are, what's involved and what the benefits are. They really want to understand the value of diagnostic scans by a trained technician in Brooklyn Park. Since 1996, all cars and light trucks in Brooklyn Park, MN, have been required to use a standardized diagnostic system to help repair technicians determine what's wrong with your vehicle. The diagnostic system works with the vehicle's Engine Control Module – the computer that controls many engine functions. You can imagine a lot of oxygen sensors have been replaced because of that code. So the on-board diagnostics point the way to where the trouble lies, but it takes some skill and high-tech equipment to actually pinpoint the problem. The cheap scan tools that a consumer can buy do not have the ability to retrieve some of the operating history that's stored in the engine control computer. That history's very helpful in diagnosing the problem. Service centers like Affordable Transmissions invest a lot of money in high-end diagnostic tools to help solve the mystery and get you back on the road as soon as possible without replacing a lot of parts that don't need replacing. So, on-board diagnostics provide a powerful starting place for a highly-trained, well-equipped technician to get to the bottom of your problem. When your Check Engine light comes on, get it checked at Affordable Transmissions. If the light burns steadily – don't panic. Get in to Affordable Transmissions soon to have the engine scanned. A flashing Check Engine light means that there is a severe engine problem. Get in as soon as you can – waiting too long can lead to very expensive damage. Make an appointment with Affordable Transmissions to have your on board diagnostics analyzed. We're going to be talking about the ethics of automotive repair. It seems like news outlets really like hit-and-run reporting; they hit everyone from groceries stores to retail to physicians. And the Brooklyn Park automotive service and repair industry hasn't been given a pass either. Unfortunately, every profession in Brooklyn Park has some bad actors that hurt the reputation of everyone else. On the automotive side, industry associations and professional licensing organizations are very committed to high ethical standards. Yet some people remain uncomfortable with Brooklyn Park automotive service and repair. It may start with the fact that our vehicles are a big investment and we rely on them for so much in our lives. That alone guarantees our attention. And how well we understand the recommendations really impacts our comfort level. If we understand what's recommended and the benefits of taking care of the work – and the pitfalls of putting it off – we'll have more trust in the recommendation. So communication is key. It's like going to the doctor; If she's using medical jargon and takes a lot of basic medical knowledge for granted, we have a hard time following her train of thought. It can be like that with your Brooklyn Park service advisor too. 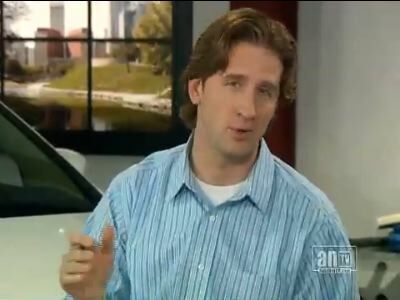 He's so familiar with all things automotive, he may forget you don't know a PCV from an EGT. If you don't understand what your doctor's talking about: ask some questions. If you don't understand what your Brooklyn Park automotive advisor's talking about: ask some questions. For example, it you take your car in for a grinding noise when you step on the brakes, you may just think you need new brake pads. After the inspection, the technician at Affordable Transmissions says that you have a cracked rotor and need to replace it. If you tried to get him to simply put new pads on, he would say that if you didn't want to replace the rotor; Affordable Transmissions would ethically have to refuse the repair. Some Brooklyn Park vehicle owners wonder why Affordable Transmissions and other Brooklyn Park auto repair shops charge a fee for vehicle diagnostics. Receiving a diagnostic charge at Affordable Transmissions for a tricky automotive problem shouldn't be a surprise. In the Brooklyn Park area, automotive diagnostics can cover quite a range. If you hear a noise in your vehicle brakes when you slow down in rush-hour traffic on a busy MN road, you pull off at the next off-ramp and take a quick visual check. That is usually enough to know what needs to be done. If you're having an intermittent problem with your vehicle engine, however, a Affordable Transmissions diagnosis may be much more involved. Much of the Brooklyn Park driver's confusion comes when the problem involves the Check Engine light. The Check Engine light comes on when the engine management computer has sensed a problem. There's a common misconception among MN drivers that the trouble code tells the Affordable Transmissions technician exactly what's wrong. They wonder why there is a diagnostic charge because the scanner quickly gave the diagnosis. The vehicle computer's trouble code just tells the Affordable Transmissions technician what engine parameter is out of range, not what's causing it. The technician needs to determine the underlying problem that's causing the malfunction. There are many problems that could cause a troublesome sensor reading for Affordable Transmissions customers. The service advisor makes a list of the most likely causes and begins tracking down the source of the problem. This takes time. Brooklyn Park service centers subscribe to databases that document possible causes for all the possible trouble codes. The databases outline procedures for confirming a diagnosis and provide the documented repair. These databases are specific to each vehicle and engine combination. Some diagnoses are quick and easy. Others are more involved, time-consuming and difficult. Of course Affordable Transmissions wants to figure out what's wrong with your vehicle and get you back on the road as quickly as possible. A big part of the service we provide at Affordable Transmissions for our Brooklyn Park customers is education. We want you to feel confident with your service decisions. And we're always open to questions from our valued Brooklyn Park area customers. Even though we try to be proactive in our Affordable Transmissions automotive education, we sometimes get busy fixing vehicles and need a reminder. Please, just ask. We've found our Brooklyn Park customers like the service reminders. They've grown to trust that our recommendations are based on the vehicle manufactures’ published maintenance schedules and that Affordable Transmissions is not just pulling them out of the air. We know that people in Brooklyn Park live a busy life with a lot more to think about than wondering if it's time to replace the PCV valve on their vehicle. Part of our Affordable Transmissions service process is checking the vehicle manufacture's schedule to make sure we don't overlook service. We hope MN drivers appreciate their courtesy inspection when they come into our Brooklyn Park facility for service. If we find something unexpected, it's good to know, and if we don't find anything wrong, you get a little peace of mind. You know, customer satisfaction is very important to us at Affordable Transmissions. We want to run a professional and friendly Brooklyn Park automotive service operation. If we do, you'll keep coming back and recommend us to your friends. Give us a call at (763) 533-1169. We find that a lot of Brooklyn Park drivers are a little tentative when they talk with their automotive advisors. They want to ask questions but don't want to be embarrassed or seem pushy. Vehicles are very complicated and there's more to know about them than most of us have the time to learn. Maybe it's because vehicles have become so much more reliable that the average person just doesn't need to know as much to keep their vehicle on the road. You know, your local hospital has a Patient's Bill of Rights that they post throughout the hospital. 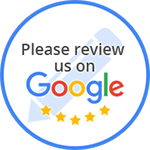 We think our Brooklyn Park automotive service customers also have a right to ask any question they need to understand what is wrong with their car and what it will take to fix it. They need to feel free to ask the cost and benefits of recommended services. And they certainly have a right to understand the financial end of the transaction. It's all about the communication. It's a little harder when you're trying to find the right service center in Brooklyn Park. But once you've developed a relationship, the communication should come easier. It can be the same with your Brooklyn Park automotive service advisors. Most of them are very busy trying to service and fix cars to get their customers back on the road. So, just ask when you feel you need more information. Communication is a two way street. If you have some real budget concerns, ask your Brooklyn Park service advisor what he can do. He can give you priorities and options. He can tell you what needs to be taken care of right away for safety or financial reasons. Then you can work out a plan for when to get the rest done. He can also help you with options on the parts. The preference is to always use a high-quality part with a reputation for reliability. But if money is tight, he might be able to find a rebuilt or a used part. He should tell you the difference in the guarantee for the part so you can make a good decision. About 80% of the vehicles on Brooklyn Park roads today are behind on their preventive maintenance schedules. That translates to about 160 million vehicles in the United States that aren't performing as well as they could be - thousands right here in MN. Some of the maintenance issues are minor. Others represent serious safety concerns. There are many reasons Brooklyn Park drivers neglect their routine car care. Some of the more common ones are complacency, lack of confidence, lack of trust and budget issues. Some people in Brooklyn Park just don't feel comfortable taking their vehicles to their local Brooklyn Park service center. They don't know much about engines or auto mechanics, so they don't know what questions to ask. They don't want to appear foolish or ignorant. That's what you can expect from the pros at Affordable Transmissions. They have to be highly trained and work with a lot of complex, high-tech systems. They don't expect their Brooklyn Park customers to understand car care. So ask questions. You need auto advice from a service specialist, just as you need medical advice from a doctor and financial advice from a financial advisor. Which brings us to the next concern: trust. A lot of rumors fly around Brooklyn Park about auto repair scams. You may have heard about some local auto shops taking advantage of customers and replacing parts that weren't broken. Frankly, this is just bad business practice. Brooklyn Park auto service centers won't stay in business long if they're engaged in this type of activity. It's in the best interest of Brooklyn Park service centers to diagnose a problem correctly and fix it right the first time. That's how they keep their businesses open. Also, realize that when your friendly and knowledgeable service advisor at Affordable Transmissions recommends routine maintenance, he is generally relying on your vehicle manufacturer’s recommendations. In other words, your trust lies both with your service advisor and your vehicle manufacturer. You'll find that most of the service recommendations from Affordable Transmissions you receive coincide with what's in your manual. Those recommendations were set up by the engineers who designed your vehicle, not Affordable Transmissions. The team at Affordable Transmissions is just offering you a friendly reminder — a helpful reminder really, since most of us don't post our owner's manuals to our calendars. Brooklyn Park area service centers have to be competitive. Like any business, they can't afford to overcharge customers or they go out of business. But vehicle care today does cost more in MN than it used to. Vehicles are more sophisticated, complex and high-tech. That means technicians have to be better trained. They have to purchase high-tech diagnostic equipment and tools. They have to keep up with the latest advances in vehicle engineering and subscribe to computer databases. Like any business, they also have labor costs, insurance, rent, utilities, taxes, office supplies, etc. If you are strapped for cash, Affordable Transmissions can offer auto advice to help you keep your car running safely and manage your budget. For example, let's say you need new brake pads, transmission service and a new cabin air filter. A technician can't ethically recommend you delay brake service: that creates a safety hazard for you and other Brooklyn Park drivers. You need to get that done now. But they can let you know if the transmission service can wait a month and how long you can put off changing the cabin air filter. They can also estimate what these services will cost. That gives you the time and information you need to save up for the other services. The key to modern car care is preventive maintenance. Our modern vehicles are safer, more fuel efficient and more reliable than ever before. But to keep them that way Brooklyn Park drivers have to be more proactive about caring for them. It's good to know there are knowledgeable professionals at Affordable Transmissions who can help us do just that. There are some things drivers should know about Brooklyn Park car service and repair. First and foremost, Affordable Transmissions cares about you and your family's safety. And we really appreciate your business. Affordable Transmissions in Brooklyn Park wants to build a trusting relationship that becomes the foundation for a mutually beneficial experience for years to come. Building on that foundation, there are some things that would help you understand the auto service and repair business better. First, it can be really hard to fix vehicles. The days of shade tree mechanics are long gone. The majority of automotive systems are computerized. It takes a lot of training and very expensive equipment to diagnose and repair modern vehicles. The pros who work for Affordable Transmissions need extensive computer training – not just how to run the diagnostic systems, but also searching for the right parts, networking with other technicians to help them with a difficult problem and pulling together a job order that makes sure that each step of the process is addressed. The threshold for getting started as a technician gets higher all the time in MN, and there is a huge commitment to on-going training every year. This training takes time and money. It contributes to business overhead. Average consumers in Brooklyn Park may not realize the business and environmental regulations Affordable Transmissions must comply with. Of course that costs money, too. Like any MN business, overhead is a big factor. When you go into your favorite Brooklyn Park area restaurant, you don't value the meal by what the food would cost at the grocery store. The restaurant has rent, wages, insurance, taxes, utilities, professional fees, equipment, supplies – you get the picture. The restaurant has to charge enough to not only pay for the ingredients, but for all these other things as well while making enough profit to remain in business. If you value the meal and are satisfied with your dining experience, you'll come back and tell your friends. It's the same for Affordable Transmissions. The value of its service is not the cost of the parts they replace, but in your satisfaction with the results. If they deliver a good product at a fair price, customers are happy to see them succeed as a MN automotive business. Contact Affordable Transmissions to learn more about our extensive auto service training. At Affordable Transmissions, we love to see our Brooklyn Park customers whenever they come in, but we would much rather see them three or four times a year for routine maintenance than once a year on a tow truck. We want to work together with you to avoid breakdowns. Tell your friends and family to come in for their scheduled maintenance too. That lowers our marketing costs and helps keep labor rates down. That's good for everyone in Brooklyn Park. One might say the most challenging part of being an automotive service technician at Affordable Transmissions in Brooklyn Park is diagnosing a problem before it can be fixed. Cars in MN are made up of a bunch of complex systems. There usually could be a number of reasons for any given symptom. So, it's challenging to track down the actual cause of the problem. And it can be frustrating for the vehicle owner because it can take time and money to get to the bottom of a problem. If it's not something obvious, it's easy for the customer to focus on the fixing and not the diagnosing. Let us at Affordable Transmissions introduce you to something we'll call 'Customer Detective Work' – helping your technician find clues to what's wrong. Do you see where we're going? You're gathering additional information to help your technician at Affordable Transmissions know where to start. Based on your car and the tech's experience, he'll know where to look and can start with the obvious suspects. All MN pilots have checklists for every aspect of flying. They always use their checklists even if they only have two steps on them. They do this simply because a checklist is a great way to not forget steps. It is also how they can assure a predictable outcome. That is why Brooklyn Park automotive service centers including Affordable Transmissions have procedural standards for each service they perform. Affordable Transmissions technicians are trained step by step. And they perform the procedures step by step, the same way each time. By training to procedural standards, MN service centers can assure a quality outcome. The job is done right every time and Brooklyn Park customers leave happy with how their vehicle performs. Each company trains its technicians to standards. The MN automotive industry as a whole is very committed to standards of excellence and encourages individual MN service center operators to apply them to every vehicle they service. An exhaust pipe has rusted through and is leaking. Replacement is recommended because the part has failed. If the pipe were rusted, corroded or weak but not leaking, the technician may suggest it be replaced because it is near the end of its useful life and replacing it now may be more convenient for the customer. Suppose a customer wants to improve his car's handling, but his shocks haven't failed. The may suggest replacement of the shocks to satisfy the customer's wishes. Under these guidelines the Brooklyn Park car repair shop must refuse partial service of a required repair if the repair creates or continues an unsafe condition. Let's say a customer has a cracked brake rotor. This is a dangerous condition that must be repaired. If the customer does not want to replace the rotor but instead just wants new brake pads installed, the shop must ethically refuse the partial repair. That can be an upsetting conversation, but understanding that Brooklyn Park service centers operate under service standards and procedures is comforting. You want your service to be done right and to have confidence in your technician's recommendations. The MN automotive service industry and Affordable Transmissions want the best for you and for you to keep coming back.